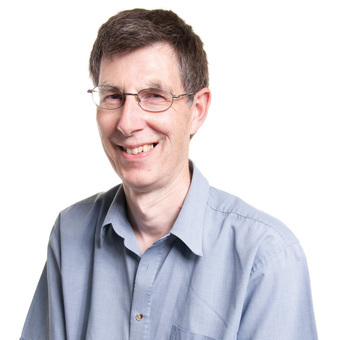 Dr Arnold has over 35 years’ experience as a professional electronic design engineer developing equipment and instrumentation for a variety of industries including Naval, Automotive, Meteorological, Military, Oil and Medical. Graham has recently completed a PhD, designing a novel foot platform to record three-dimensional forces acting on the foot to ultimately provide a better understanding of diabetic foot ulcer development. He has been employed by the University for the last 12 years, supervising and supporting students and staff in conducting research projects using the extensive range of instrumentation within the Institute of Motion Analysis and Research. Annals of the Royal College of Surgeons of England (2018), 267-274 Miller S, Agarwal A, Hadden WB, Johnston L, Arnold GP, Wang W, Abboud RJ. Forensic Science International (2018), Volume 284, March 2018, Pages 176�183 Neves FB, Arnold GP, Nasir S, Wang W, MacDonald C, Christie IS, Abboud RJ. Age & Ageing (2017), (in press) Sumukadas D, Price RJG, McMurdo MET, Rauchhaus P, McSwiggan SJ, Arnold GP, Abboud RJ, Witham MD. International Journal of Industrial Ergonomics. (2016), 53C, 59-66. Sherif S, Hasan S, Arnold GP, Abboud RJ, Wang W.
Bone & Joint (2016), Orthopaedic Proceedings 8 June Makaram N, Arnold G, Wang W, Campbell D, Gibbs S, Abboud R .
INSPIRE National Intercaltors Research Conference (2016), Cullen F, Arnold GP, Wang W, Abboud RJ. Journal of Nutrician, Health and Aging (2016), Volume 20, Issue 3, 1 March, 325-333 Fulton RL, McMurdo MET, Aill A, Abboud RJ, Arnold GP, Struthers AD, Khan F, Vermeer C, Knapen MHJ, Drummen NEA, Witham MD. Taylor & Francis Online (2015), DOI:10.1080/00140139.2015.1039603 Jafri M, Brown S, Arnold GP, Abboud RJ, Wang W.
International Journal of Industrial Ergonomics. (2015), 47, 45-52 Kabra C, Jaiswal R, Arnold GP, Abboud RJ, Wang W..
University of Dundee Student Symposium, Crieff Hydro (2015), Gibbs S, Meadows CB, Arnold G, Wang W.
Nanotechnology and Precision Engineering (2015), 13(5): 383-390. Ghaffar M, Raza S, Arnold GP, Abboud RJ, Wang W.
The Foot (2015), Volume 25, Issue 3, 1 September, 152-158 McHenry RD, Arnold GP, Wang W, Abboud RJ. Tayside Orthopaedic Research Club (TORC) Meeting, University of Dundee, UK (2015), Lawrie H, Arnold GP, Nasir S, Wang W, Abboud RJ. International Journal of Industrial Ergonomics (2015), 45-52 Kabra C, Jaiswal R, Arnold GP, Abboud RJ, Wang W.
Sports Engineering (2014), Volume 17, Issue 3, September, 143-150 Nicol G, Arnold GP, Wang W, Abboud RJ. Journal of Dental and Medical Sciences (2014), 13(7): 08-13 Sayaji SV, Bhmre SV, Abboud RJ, Arnold GP. Surgical Endoscopy (2013), 27:971-977 Jafri M, Brown S, Arnold GP, Abboud RJ, Wang W.
European Society for Movement Analysis in Children (ESMAC) (2013), Glasgow, Scotland Stephen AE, Oliver B, Gandy SJ, Cavin I, Arnold GP, Ewing B, Black SM, Abboud RJ. The Foot (2012), 22:90-94 Yapp LZ, Arnold GP, Nasir S, Wang W, MacLean JGB, Abboud RJ. ESM Conference, Aalborg, Denmark (2012), Bhutani TS, Arnold GP, Nasir S, Wang W, Abboud RJ. Foot & Ankle Surgery (2011), 17:140-144 Bentley J, Ramanathan AK, Arnold GP, Wang W, Abboud RJ. Foot & Ankle Surgery (2010), 16(2), pp.70-73 Ramanathan AK, Kiran P, Arnold GP, Wang W, Abboud RJ. Hand Surgery (2010), 15(3):237-41 Jariwala AC, Scott I, Arnold GP, Abboud RJ, Wigderowitz CA. Foot & Ankle Surgery (2010), 16:195-198 Putti AB, Arnold GP, Abboud RJ. Clinical Biomechanics (2010), 25:582-587 Nair SP, Gibbs S, Arnold GP, Abboud RJ, Wang W.
Foot & Ankle Surgery (2010), 16:21-24 Putti AB, Arnold GP, Abboud RJ. Off-the-shelf in-shoe heel inserts: does cost matter? British Journal of Sports Medicine (2008), 42:750-752 Ramanathan AK, John MC, Arnold GP, Cochrane LA, Abboud RJ. Gait & Posture (2008), 27(3):501-505 Putti AB, Arnold GP, Cochrane LA, Abboud RJ. Gait & Posture (2008), 28:533-537 Ramanathan AK, John MC, Arnold GP, Cochrane LA, Abboud RJ. Clinical Biomechanics (2008), Volume 23, Issue 5, Pages 669�670 Cochrane L, Fergus K, Arnold GP, Bardsley G, Abboud RJ. Gait & Posture (2007), 25: 401-405 Putti AB, Arnold GP, Cochrane L, Abboud RJ. The Journal of Hand Surgery (2007), 32(6):700-4 Wigderowitz CA, Scott I, Jariwala AC, Arnold GP, Abboud RJ. Gait & Posture (2007), 27:501-505 Putti AB, Arnold GP, Cochrane LA, Abboud RJ. Journal of Biomechanics (2006), (Suppl 1), 79 Scott I, Arnold GP, Jariwala A, Cochrane L, Wigderowitz CA, Abboud RJ. 2nd Academic Week at the Federal University of Santa Catarina, Brazil (2016), Arnold GP, Nasir S, Wang W, MacDonald C, Abboud RJ. 12th Staffordshire International Conference on Clinical Biomechanics, Stoke-on-Trent, UK. (2014), Johnstone AJ, Arnold GP, Griffiths G, Nagy J, Wang W, Abboud RJ. Dundee Netball: Could the surface be blamed? 12th Staffordshire International Conference on Clinical Biomechanics, Stoke-on-Trent, UK. (2014), Corner J, Arnold GP, Wang W, Gibbs I, Abboud RJ. The effect of upper body mechanics on the golf swing. 8th Staffordshire International Conference on Clinical Biomechanics, Stoke-on-Trent, UK (2010), Mehdian R, Arnold GP, Nasir S, Gibbs S, Wang W, RJ Abboud. 8th Staffordshire International Conference on Clinical Biomechanics, Stoke-on-Trent, UK (2010), Buchan S, Arnold GP, Nasir S, Matzler M, Wang W, Abboud RJ. 7th Clinical Biomechanics (2009), Morrison RJM, Gibbs S, Abboud RJ, Wang W, Arnold GP. World Congress of Biomechanics (2006), Ahmad S, Arnold GP, Cochrane L, Wang W, Abboud RJ, Gibbs S.
World Congress of Biomechanics (2006), Rajput B, Gibbs S, Arnold GP, Wang W, Cochrane L, Leese G, Abboud RJ. World Congress of Biomechanics (2006), Rajput B, Wang W, Gibbs S, Cochrane L, Arnold GP, Abboud RJ. XI Federation of the European Societies for Surgery of the Hand Congress, Glasgow, Scotland (2006), Jariwala A, Scott I, Arnold GP, Abboud RJ, Wigderowitz CA. World Congress of Biomechanics (2006), Manivelavan S, Wang W, Gibbs S, Cochrane L, Arnold GP, Abboud RJ. EMED Scientific Meeting, Munich, Germany (2006), Cochrane L, Fergus K, Arnold GP, Bardsley G, Abboud RJ. European Society for Movement Analysis in Children (2006), Rao PS, Gibbs S, Arnold GP, Abboud RJ. British Orthopaedic Research Society, Southampton, England (2006), Jariwala A, Scott I, Arnold GP, Abboud RJ, Wigderowitz CA. European Society for Movement Analysis in Children (ESMAC) (2006), Ahmad S, Arnold GP, Cochrane L, Wang W, Abboud RJ, Gibbs S.
European Society for Movement Analysis in Children (2006), Rajput B, Wang W, Gibbs S, Cochrane L, Arnold GP, Abboud RJ. 4th European Association for the Study of Diabetes (2004), Rajput B, Arnold GP, Gibbs S, Leese G, Wigderowitz CA, Abboud RJ. Clinical Biomechanics (2004), Morrison RJM, Gibbs S, Abboud RJ, Wang W, Arnold GP.